​Steve Reich, ever popular with audiences and performers alike, has created some of his most exciting and innovative repertoire in working with other musicians; notably with the American ensembles Bang On A Can and Eighth Blackbird. Our programme fuses Reich’s ‘Double Sextet’ – a work commissioned by Eighth Blackbird and featuring live musicians and stereo recording performed simultaneously - with music by each of the founders of Bang On A Can, creating a adrenalin fuelled concert of pulsating minimalism and experimentalism. 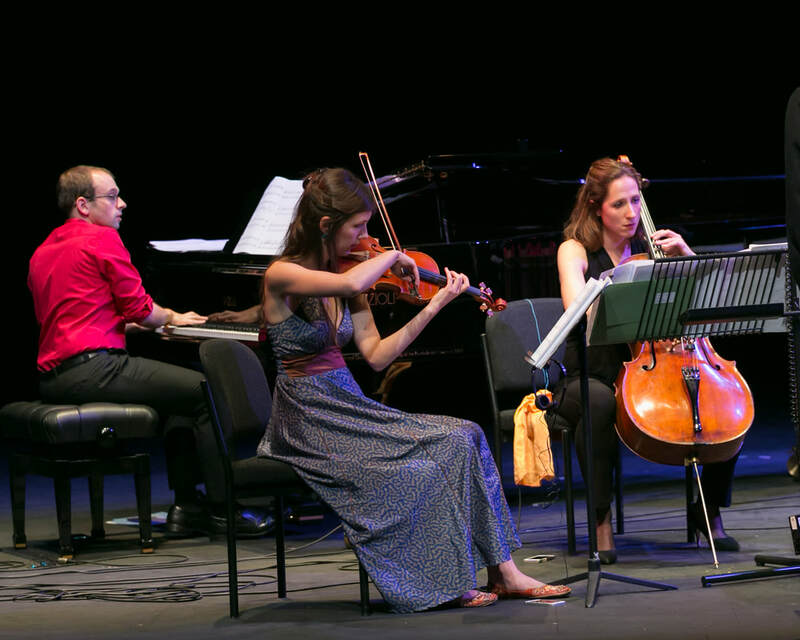 ‘Storytelling’ embraces the way music draws together musicians, composers and audiences from diverse cultures across the world; at a time when many links are being explored in the relationship between the UK and India following the UK-India Year of Culture in 2017. The programme brings together music exploring european folk traditions with two works influenced by Indian classical music: a world premiere by Jeremy Thurlow and an explosive collaborative work by composer Jasmin Kent Rodgman and Dr K. violinist Alice Barron.